BANGKOK: AG Productions and Retox Sessions, a prominent Bangkok house music promoter, and Contango are proud to announce the 808 Festival, a super-charged international beat buffet that is set to rock Bangkok on December 9 at Bitec Bangna. 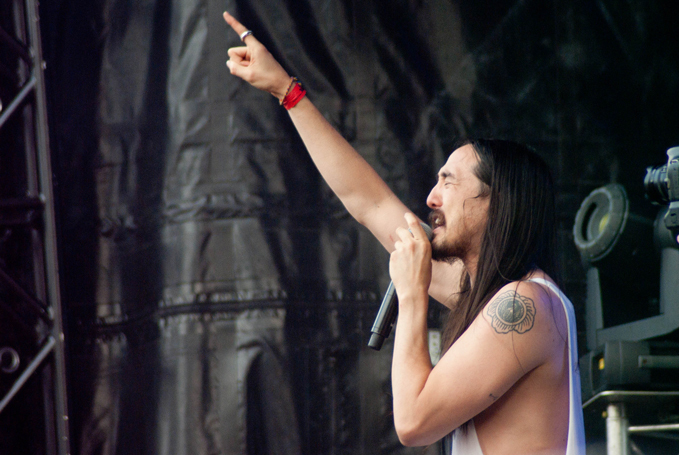 Anchoring the beat-fest is US music producer, DJ and all-round party guy Steve Aoki. No stranger to Thai dance floors, the original party-starter has passed through the Thai capital many times on his relentless global touring circuit. Famous for his party-participation DJing style, he has worked with the big names of the current era including peers Tiesto, Afrojack and many others through his Dim Mak Records label. On top of his growing list of accolades is eighth place on DJ Mag’s world poll for 2013. He has also headlined some of the best international festivals this year such as Tomorrowland, Ultra and Global Gathering. Dropping the big beats alongside Aoki will be Dutch duo Bingo Players, known for their chart-topping single ‘Get Up (Rattle)’. Also with an epic touring schedule, Bingo Players have over 30 worldwide music festivals under their belts including Tomorrowland, Stereosonic, Ultra, Electric Zoo and a primetime slot at Electric Daisy Carnival: Vegas. Not to be left out of the mix, Bassjackers – aka Marlon Flohr and Ralph van Hilst – will chime in their infectious grooves to get you moving. The duo of talent quickly rose to fame with ‘Beat Cut’ and dance floor bomb ‘Mush Mush’, which got picked up by Tiesto. This year has also seen them put up big tracks ‘Crackin’, ‘Zing’ and ‘Raise Those Hands’ in collaboration with fellow Dutchman R3hab. Rounding out the international line-up is the Amsterdam-based Chuckie, who has risen to fame with chart toppers such as ‘Let The Bass Kick’ and ‘Aftershock’, in which he spreads the Chuckie flavour with his explosive beats, surprise FXs and adulated climaxes. Local support on the night will come from home-grown DJ duo SuperrZaaap, Lingdum, Skinny Mark and Zuper L.
808 Festival will be held on December 9 from 7pm onwards at Bangkok International Trade and Exhibition Centre (Bitec, 88 Bang Na-Trat Road Km 1, Bangna, www.bitec.co.th, 02-749-3939). Limited early bird tickets are B1,100, pre-event tickets are at B1,350 and B1,700 for limited VIP tickets, available at either amiando.com/808festival or thaiticketmajor.com (also call 02-262-3456). Tickets will also be available at the entrance on the day of the event. Attendees must be at least 17 years old with proper identification. There will be an alcohol free area for those who are under the legal drinking age.